The tunes he's releasing are fresh and exciting. 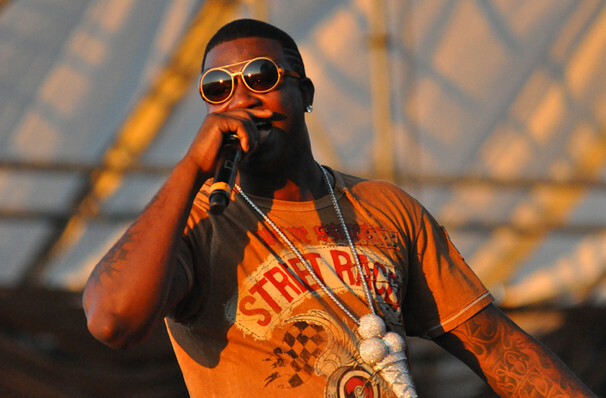 No stranger to controversy, headline-grabbing rapper Gucci Mane is setting aside his previous troubles with the law to head out on tour. Since releasing Trap House in 2005, Gucci Mane has seen many songs hit the Billboard's Hot 100 including "I Get The Bag" which hit #11. We also saw Mane collaborate with artists like Mario and Selena Gomez on her single 'Fetish'. After his release from prison, Mane has transformed his music and health. In the best shape of his life and partaking of a drug-free lifestyle, the underground underdog has a considerable catalogue of hits to dust off. Expect that original Mane energy and voracity combined with the conviction of a new lease on life! Seen Gucci Mane? Loved it? Hated it? Sound good to you? 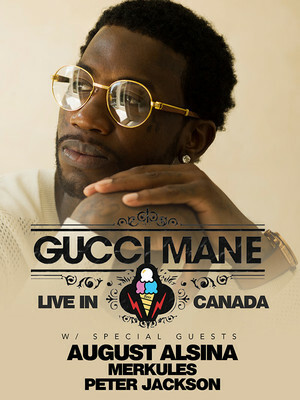 Share this page on social media and let your friends know about Gucci Mane at Edmonton EXPO. Please note: All prices are listed in US Dollars (USD). The term Edmonton EXPO and/or Gucci Mane as well as all associated graphics, logos, and/or other trademarks, tradenames or copyrights are the property of the Edmonton EXPO and/or Gucci Mane and are used herein for factual descriptive purposes only. We are in no way associated with or authorized by the Edmonton EXPO and/or Gucci Mane and neither that entity nor any of its affiliates have licensed or endorsed us to sell tickets, goods and or services in conjunction with their events.